Murder—Person transporting a buffalo—Silence and inaction of Police—Case handed over to CBI—Directions issued to immediately transfer to Station House Officer, Deputy Superintending of Police, Superintendent of Police and District Magistrate of concerned area to a far off place. Comments Off on Murder—Person transporting a buffalo—Silence and inaction of Police—Case handed over to CBI—Directions issued to immediately transfer to Station House Officer, Deputy Superintending of Police, Superintendent of Police and District Magistrate of concerned area to a far off place. 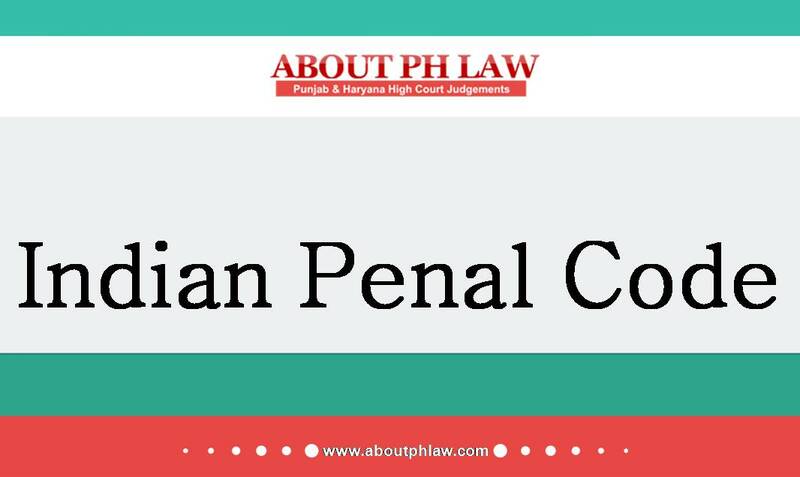 Indian Penal Code, 1860, S.302–Murder–Mild inconsistency-The mere fact that, there are certain inconsistencies with regard to the manner of causing injuries to deceased by the witnesses as deposed in the court and as noted in the statement under Section 161 Cr.P.C., can in no manner shake the entire evidence or make the statement of witnesses unreliable. Comments Off on Indian Penal Code, 1860, S.302–Murder–Mild inconsistency-The mere fact that, there are certain inconsistencies with regard to the manner of causing injuries to deceased by the witnesses as deposed in the court and as noted in the statement under Section 161 Cr.P.C., can in no manner shake the entire evidence or make the statement of witnesses unreliable. Murder–Even if the recovery of the weapons as claimed was after a long period and those were not sent for forensic examination that does not in any way dilute the evidentiary value of the prosecution version. Comments Off on Murder–Even if the recovery of the weapons as claimed was after a long period and those were not sent for forensic examination that does not in any way dilute the evidentiary value of the prosecution version. Criminal Procedure Code, 1973, S.482 & S.228–Abetment of Suicide- Murder- Discharge of accused-Quashing-Complaint was made by father of deceased-­ Allegation that harassment was by husband and his family—Post mortem report shows that no injury was found on deceased body-As per doctor death occurred due to starvation and tuberculosis was a result of starvation—Death occurred when deceased was in her matrimonial home and was a case of natural death- Order upheld-Indian Penal Code, 1860, S.306 & S.302. Comments Off on Criminal Procedure Code, 1973, S.482 & S.228–Abetment of Suicide- Murder- Discharge of accused-Quashing-Complaint was made by father of deceased-­ Allegation that harassment was by husband and his family—Post mortem report shows that no injury was found on deceased body-As per doctor death occurred due to starvation and tuberculosis was a result of starvation—Death occurred when deceased was in her matrimonial home and was a case of natural death- Order upheld-Indian Penal Code, 1860, S.306 & S.302. Murder—Last seen theory—Gap of 48 hours—Theory projected held to be weak as death of deceased had not taken place immediately after the accused were found in the company of deceased—Acquittal upheld. Comments Off on Murder—Last seen theory—Gap of 48 hours—Theory projected held to be weak as death of deceased had not taken place immediately after the accused were found in the company of deceased—Acquittal upheld. Murder—Recovery of Weapon—Those weapons were not sent to FSL to find out as to whether they were having any human blood stains there on—This is a major lacuna in the investigation. Comments Off on Murder—Recovery of Weapon—Those weapons were not sent to FSL to find out as to whether they were having any human blood stains there on—This is a major lacuna in the investigation. Murder—Common Intention—Petitioner was carrying lathi and no injury was caused with lathi—However, he was accompanying accused who were carrying fire arms—Petitioner liable to be convicted u/s 302. Comments Off on Murder—Common Intention—Petitioner was carrying lathi and no injury was caused with lathi—However, he was accompanying accused who were carrying fire arms—Petitioner liable to be convicted u/s 302. Murder—Delay of approx 4.30 hours in sending special report—Accused acquitted. Comments Off on Murder—Delay of approx 4.30 hours in sending special report—Accused acquitted.